For a great way to travel with friends, business associates or family, consider Liberty Luxury Limousines. Travel around New York City or the surrounding area with 23 other people stress free. Our well trained chauffeurs can offer guided tours to see of the amazing sights that New York City offers. 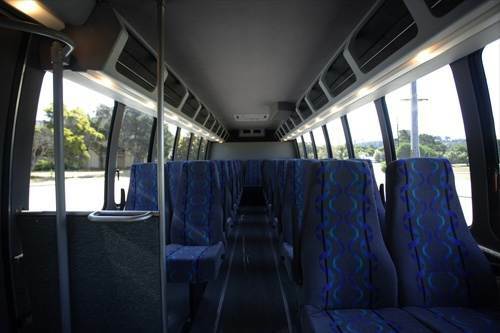 Any special event such as a bachelor party, wedding or corporate outing would be unforgettable in this fully equipped vehicle. Navigating through New York can be hectic and stressful, which is why allowing us to guide you is the perfect solution for safety and fun. Liberty Luxury Limousine can guarantee a comfortable, safe ride for one fixed rate. 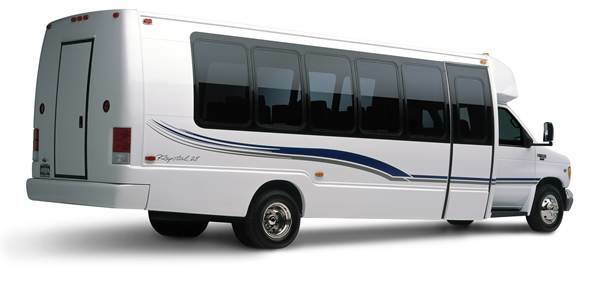 Our buses will travel to any of the five New York boroughs. The best part is that our minibus rates are affordable. Fixed rates apply to most New York City major destinations and airports. For longer trips rates may vary, but one of our specialists would be happy to work with you and provide you with a quote over the phone. Don’t let an unforgettable event become overshadowed with stress and chaos. Let us guide you to your destination so you can sit back, relax and enjoy the company surrounding you.